How can something so healthy taste this good? Our delicious dried cherries are grown in Shoreline Fruit’s abundant orchards. 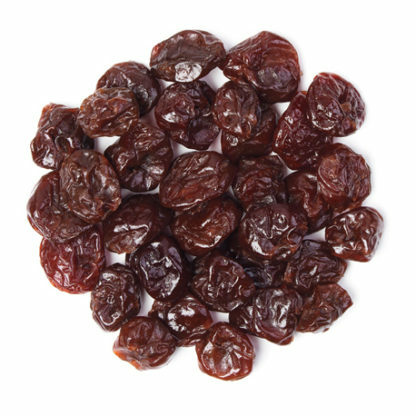 Our dried cherries are completely natural with no artificial color or additives and are gluten free; making them a flavorful and wholesome addition to your diet. We harvest, dry and pack them in our food safety-audited plants, in adherence to the strictest guidelines for quality. 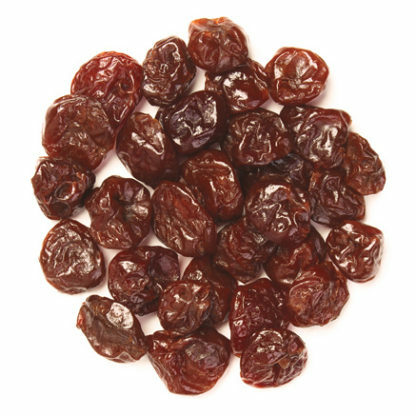 Sweetened dried tart cherries are produced from frozen, pitted Montmorency red tart cherries. The cherries are thawed and gently infused in a sugar solution until a specified brix level is reached. They are then dried to the specified moisture level, lightly sprayed with oil, inspected, and packed. Sweetened dried diced tart cherries are produced from frozen, pitted Montmorency red tart cherries. The cherries are thawed and gently infused in a sugar solution until a specified brix level is reached. They are then dried to the specified moisture level, lightly sprayed with oil, diced, inspected, and packed. 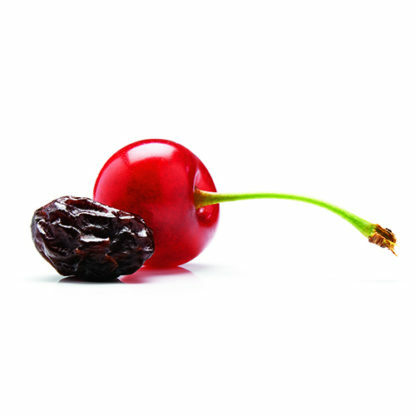 Apple juice infused dried red tart cherries are produced from frozen, pitted Montmorency cherries. The cherries are thawed and gently infused in an apple juice concentrate solution until a specified brix level is reached. They are dried to the specified moisture level, lightly sprayed with sunflower oil, inspected, and packed. 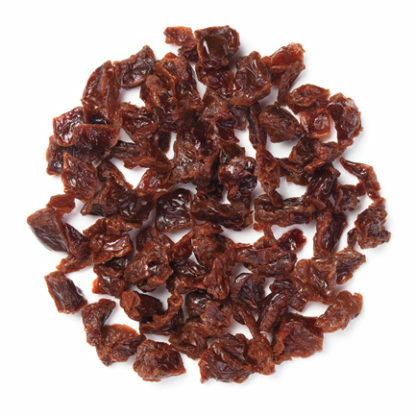 Sweetened dried Balaton cherries are produced from frozen, pitted Balaton tart cherries. The cherries are thawed and gently infused in a sugar solution until a specified brix level is reached. They are then dried to the specified moisture level, lightly sprayed with sunflower oil, inspected, and packed. Balaton cherries are darker than Montmorency cherries and slightly less tart. 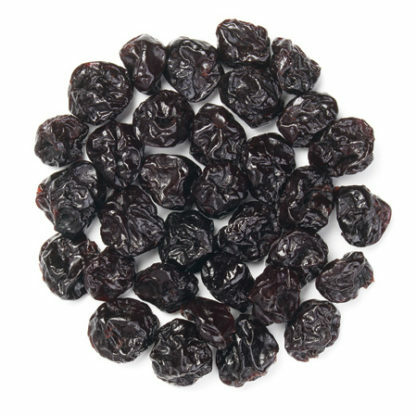 No added sugar dried Montmorency cherries are produced from frozen, pitted Montmorency tart cherries. The cherries are thawed and then dried to the specified moisture level, inspected, and packed. 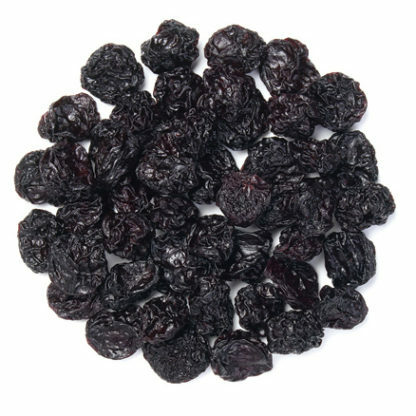 Sweetened dried light sweet cherries are produced from frozen, pitted light sweet cherries. The cherries are thawed and gently infused in a sugar solution until a specified brix level is reached. They are then dried to the specified moisture level, lightly sprayed with sunflower oil, inspected, and packed.